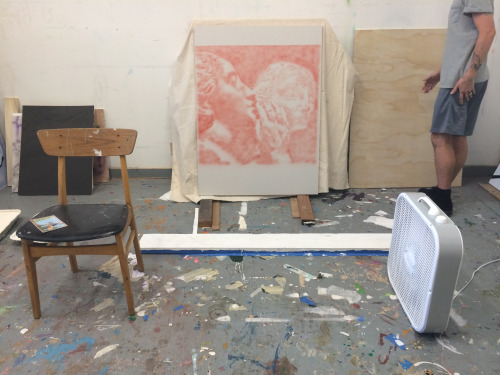 Gabi and I recently visited Portland painter Daniel Long in his very hot studio. So excited to see how his August solo exhibition is coming along. Save the date for his opening reception at Nationale, Sunday August 9 (2–5 p.m.). More about A Peanut in a Suit Is a Peanut Nonetheless HERE. 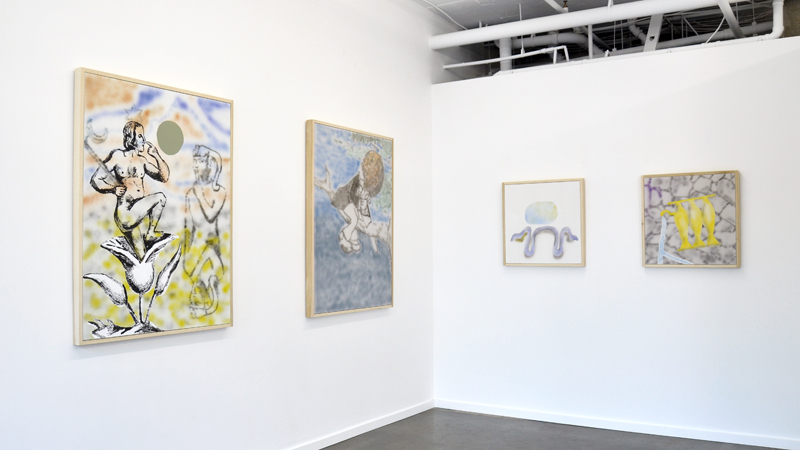 We were excited to see Daniel Long’s exhibition front and center on PNCA’s alumni page. Congrats, Daniel! Thanks to everyone who attended Daniel’s reception yesterday. What a lovely afternoon we had. A Peanut in a Suit Is a Peanut Nonetheless is on view through September 14, 2015. Make sure to come see the work in person. Stop by tomorrow afternoon, 2–5 pm, for Daniel Long’s A Peanut in a Suit Is a Peanut Nonetheless opening reception.